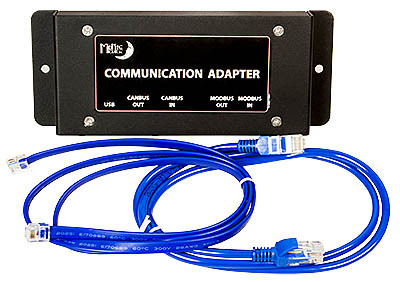 The MidNite communications adapter allows the Sunny Island to control up to 4 of the Classic charge controllers. The Sunny Island will tell the Classics what to do as far as charging voltage and time and also allow the Classics to show up on the SMA network. Includes Modbus and Canbus cables. Description: Converts the Classics Modbus into Canbus for the SMA giving the SMA system full control of the Classic.